While there are a lot of prepper-inspired products out there, this modest list of prepper-inspired products are the ones that really caught my eye. These tiny treasures have the gift of practicality and deserve a place on your preparedness shelves. Sometimes the best gifts are the ones hanging in the stocking on Christmas morning. 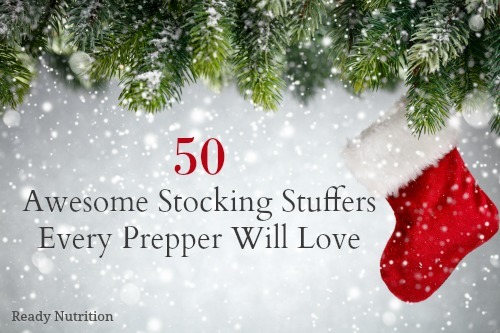 Adding a few stocking stuffers that are preparedness centered is a great way to help the family get more prepared. While there are a lot of prepper-inspired products out there, this modest list of products are the ones that really caught my prepper eye. These tiny treasures have the gift of practicality and deserve a place on your preparedness shelves.